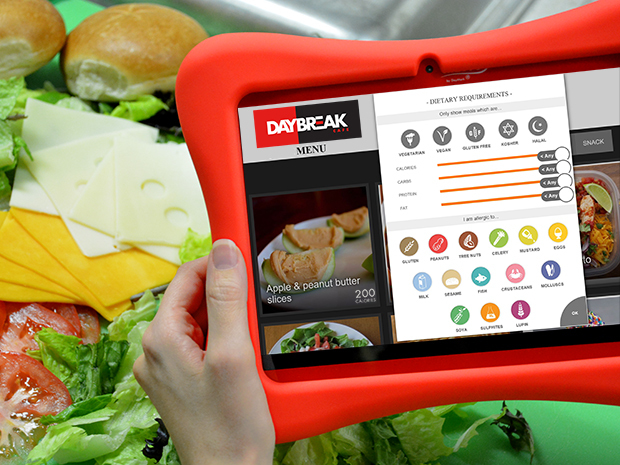 Menu management software is quickly making an impact on food service establishments across the country. These systems allow foodservice professionals to develop or reformat recipes, provide nutritional and allergen data on food ingredients, help determine menu pricing and address food labeling requirements. Contrary to some early concerns, today's cloud-based software systems are safer and more secure than software systems installed on a desktop. This is because cloud providers have some of the world's best security experts, technologies, and encryption methods available, making sure data stays safe, secure and accessible, 24/7. But, for those in the food service industry, there are other reasons for selecting a cloud-based menu management system. For instance, all information is backed up automatically and there is unrestricted access to the system from virtually any device, at any location, at any time. This means staff, no matter where they are located, has access to the same information. In this way, everyone is on the same page, which helps ensure a smoother business operation. 2) How is the software system upgraded? With a desktop-based menu management software system, upgrading and updating the software for access to new food databases or new food regulations and guidelines may require purchasing an entirely new software system. With a cloud-based system, updates are handled automatically, so users consistently have immediate access to the latest version of the system, including new features, regulations and guidelines as soon as the they become available. 3) Can it be used as a cost management tool? The selected software should help a food service operation run more efficiently. For example, is the food analysis database designed to provide a cost analysis? With profit margins invariably thin in the food service industry, having a built-in cost analysis system feature is not just a nice option—it’s imperative. It protects your business from loss and ensures profit margins are maintained. 4) Can it export information to print labels? The system should be able to print labels quickly and directly. For instance, using Nutritics Insight from DayMark, data can be delivered to the Matt85™ Bluetooth-enabled label printer. The printer is part of a hardware bundle, available exclusively from DayMark, which also includes an Android tablet. 5) Can it be used in the front of house? A well-rounded system can be used to provide customers with a searchable digital menu that is easily accessible. This type of menu enables customers to make purchasing decisions based on allergens, calorie content and price. What about other considerations and features? Menu management software is ever-evolving and new features are being developed every day. For five additional things to consider, click here.